I made these 3 dresses (see images below) from woven lightweight fabric using the same pattern. In a hurry? Subscribe to my blog and I will send you this tutorial as a PDF. I use the Metric system and give all the numbers in centimeters and meters, but if you are used to the Imperial system you can easily convert cm to inches using a regular sewing tape measure which has both metric and imperial numbers. Start by drawing a rectangle 2 meters long and 1 meter wide. Mark the center of this rectangle as point X. Mark the medians of the rectangle which intersect in X. Mark points A, B, C, D as in the image. Distances A – X, B – X and D – X are all equal to 9 cm. Distance C – X is 4 cm. Use the French curve tool (or draw it freehand) to draw curves between A – C, C – B, B – D and D – A. These lines will form the neckline. 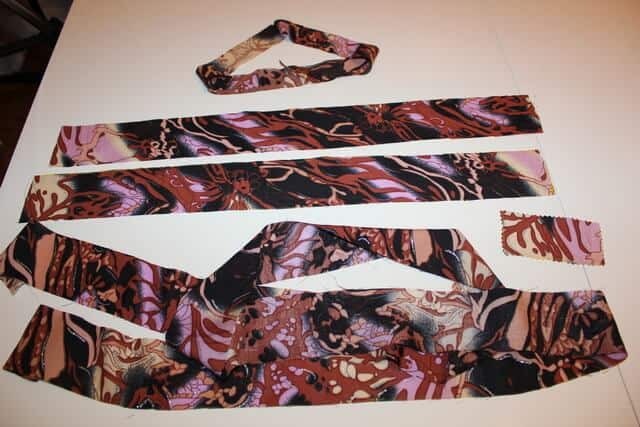 Please note that the cut lines for this pattern will be only the outer lines of the large rectangle and the neckline, all the rest are sewing lines ONLY. I will explain below the creation of the left side ( in the image ) of the pattern. 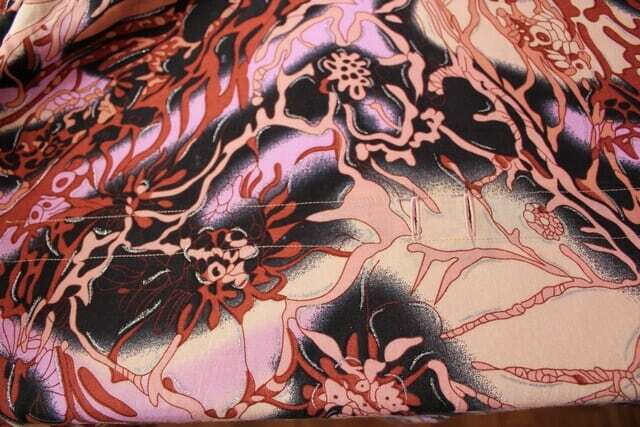 This will be the front of the dress. 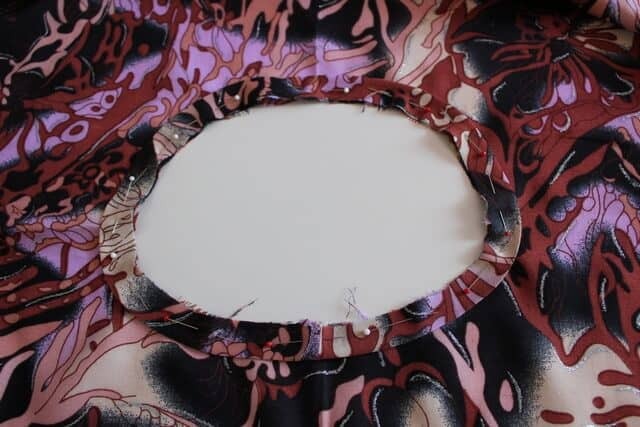 A similar mirrored construction will be created for the right side of the pattern ( back of the dress ) with the exception of the two buttonholes which are not present in the mirrored image. 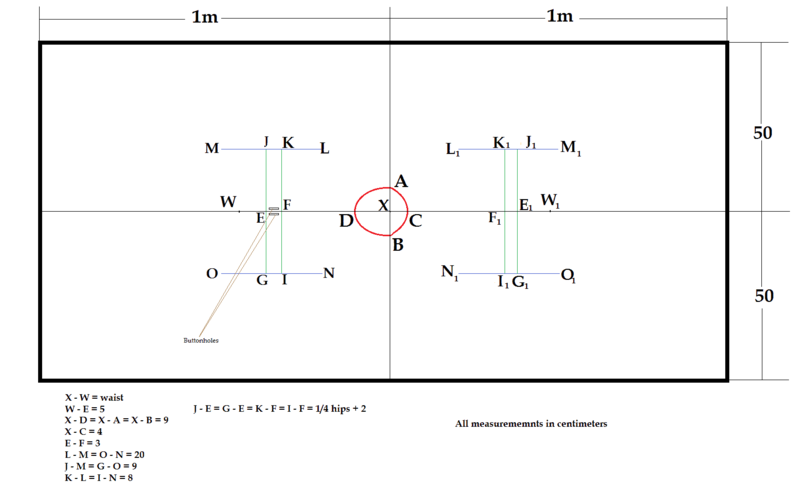 Mark a point W on the longer median at a distance from X equal to the waist measurement. X – W = waist measurement. Mark a point E on the pattern at a distance from W equal to 5 cm. Distance X – E = waist minus 5 cm. Mark a point F on the pattern at a distance of 3 cm from E as in the image. Draw perpendicular lines on the median in points E and F. Mark 2 points on each line drawn at a distance equal to ¼ hips + 2 cm from the median. Obtain this way points J, K, G, I. The distance between points J – K and G – I respectively will be equal to 3 cm and equal to the distance between E and F.
Draw a line through points J and K parallel to the median. Mark two points on this line: point M at 9 cm from J and point L at 8 cm from K. The distance between points M and L will be 20 cm. Repeat the previous step for the other side of the pattern and obtain in the same manner points N and O. Mark on the pattern the location of two buttonholes as in the image. The length of the buttonholes will be 2.5 cm and the distance between the buttonholes 3 cm total ( each buttonhole is 1.5 cm from the median ). 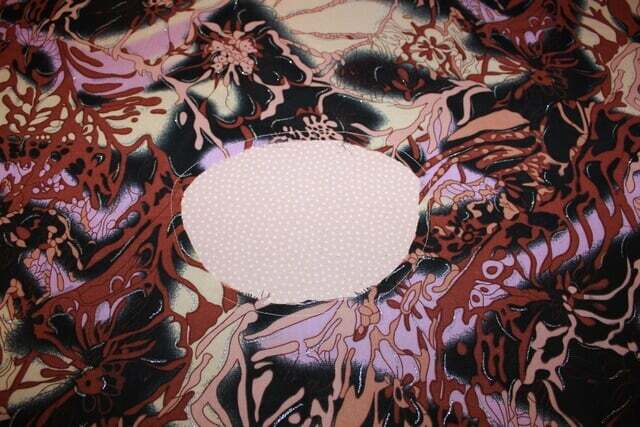 Repeat the steps to create the mirror image for points on the right side ( in the image ) of the pattern. These lines will be sewing lines for the back of the dress. Please note the absence of the two buttonholes in this mirror construction. 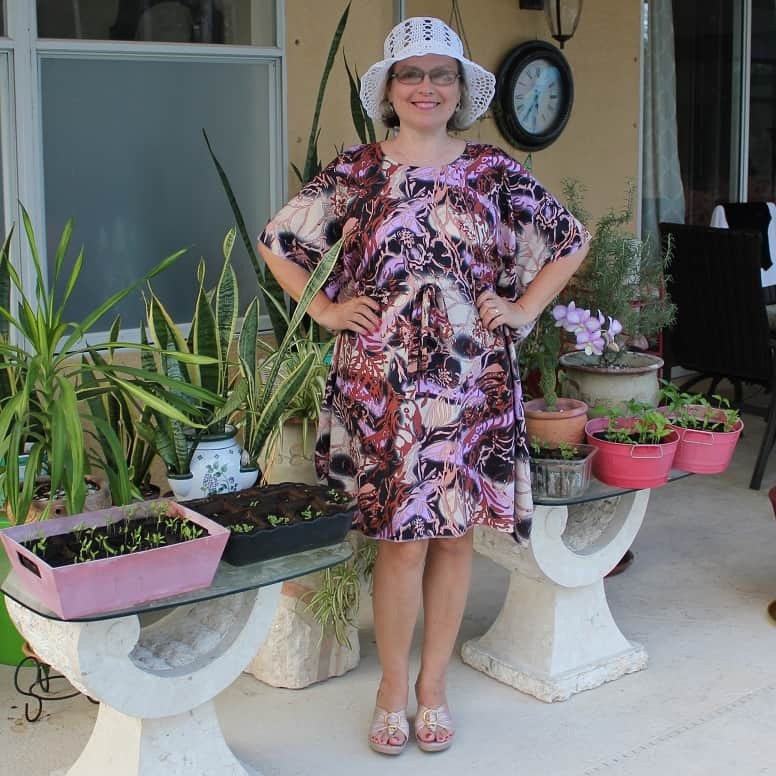 I made 3 beach dresses with this pattern from different fabrics. For pink and white dresses I made a little bit different neckline – V-neckline, but I made them before I decided to publish the tutorial on my blog, and I realized that the V-neckline is harder to finish for beginners so I made the third dress with just the round neckline which is very easy to finish with a regular facing strip. But you can experiment with the neckline and made it exactly as you wish – round, square or v-line, etc. Cut the rectangle with sides 2 m x 1 m.
Cut a rectangular piece of fabric for the belt – 6 cm wide and approximately 2 meters long. Cut a bias strip for facing the neckline. 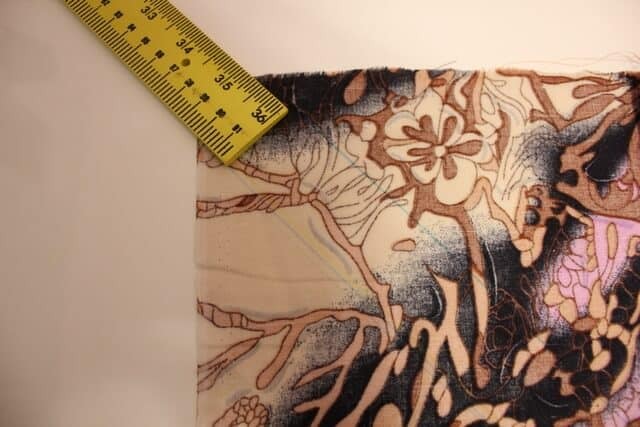 The width is about 4 cm (I usually use the width of my ruler) and the length is equal your neckline (on the pattern). Check the video below how to measure your neckline. Measure your neckline using your tape measure as I am showing in the video below. 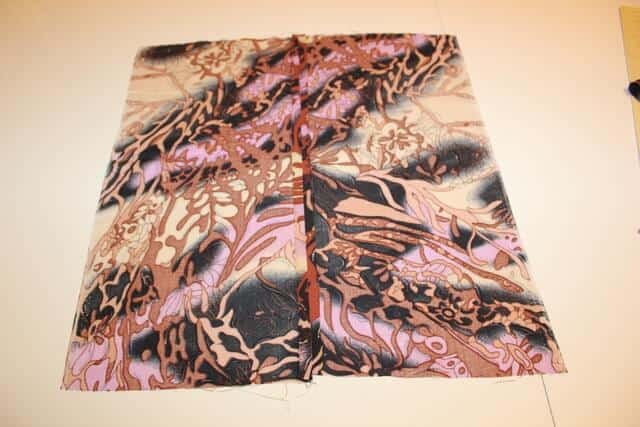 If you don’t have enough fabric to cut the bias strip without a seam then sew two rectangular pieces of fabric together forming a square and cut the bias strip from it. 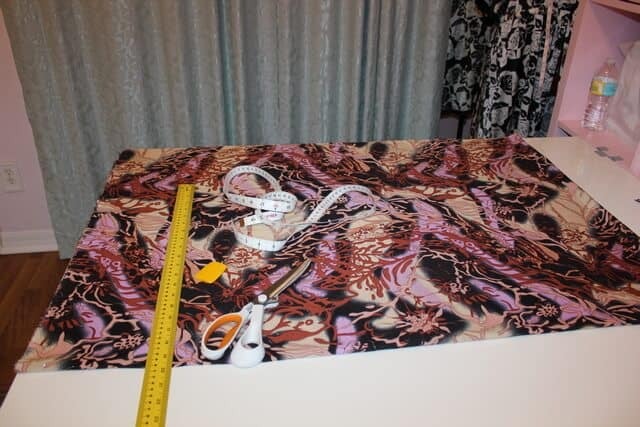 If you have directional prints on the fabric you will have to cut the pattern at shoulder lines and cut the front and the back of the dress separately so the prints will go in the same direction on the front and on the back (I mean down or up). 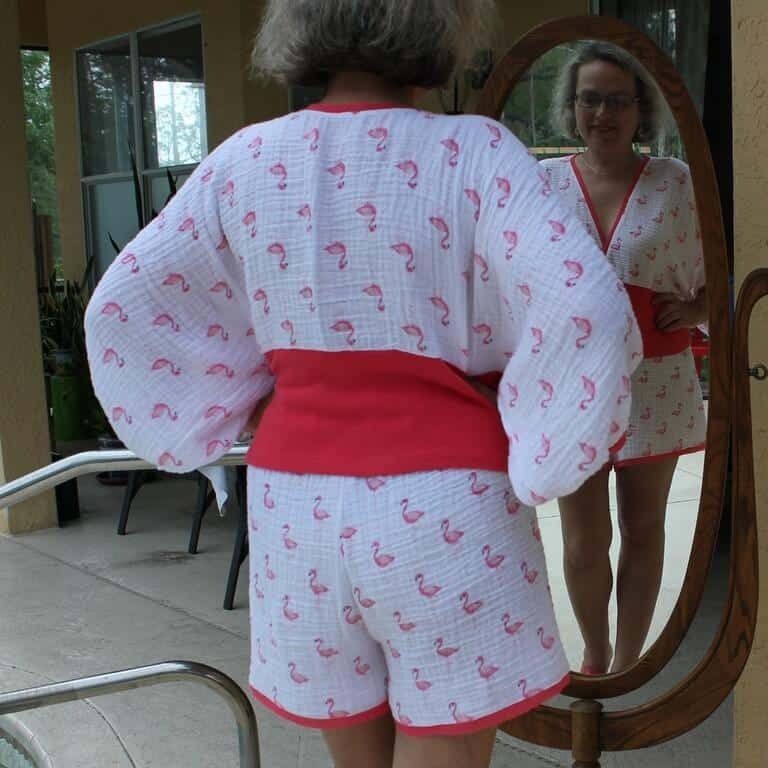 If you don’t do it you may end up with something like in the images below ( well, I made it for my pajamas tutorials, I wanted to simplify the sewing as much as possible). 1. Staystitch the neckline to prevent the fabric from stretching while the dress is being made. For this, change settings of your sewing machine tension to 1 and stitch length to 2 mm. Stitch 0.7 cm from the edge. 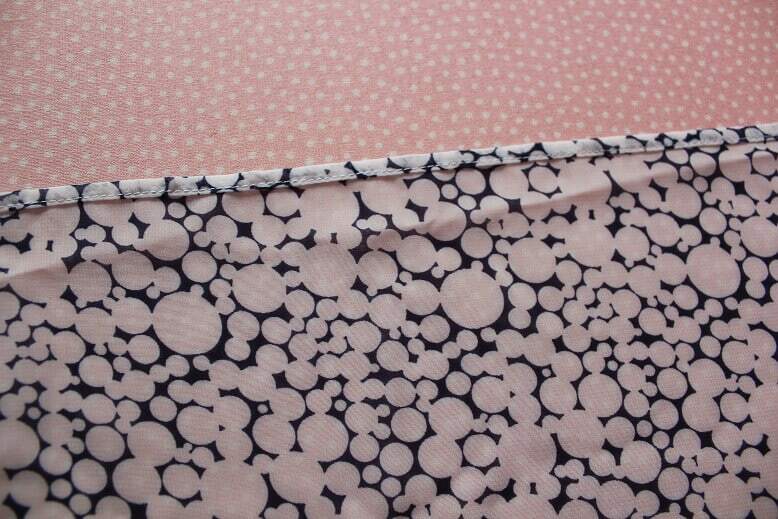 Sew together short edges of the bias strip, press it and fold the bias strip in half lengthwise while pressing. Pin it to the neckline ( on the wrong side or on the right side of the dress – as you wish), stitch it to the neckline (1 cm seam allowances), cut seam allowances to 3 mm using pinking shears, turn the facing strip on the other side, baste, press and stitch. 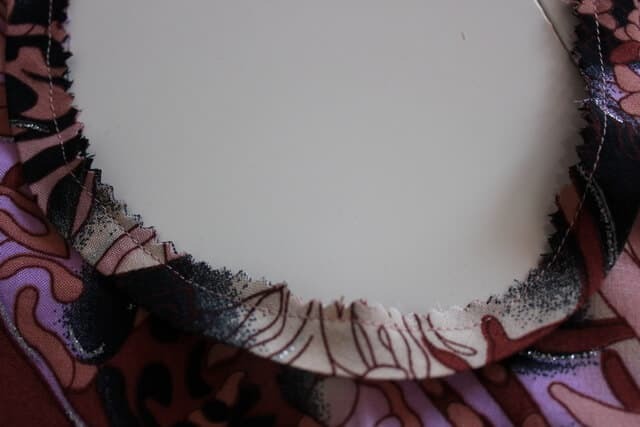 You can also use nice trims along the neckline for embellishment (or to cover stitches if you didn’t manage to sew them nicely). 3. 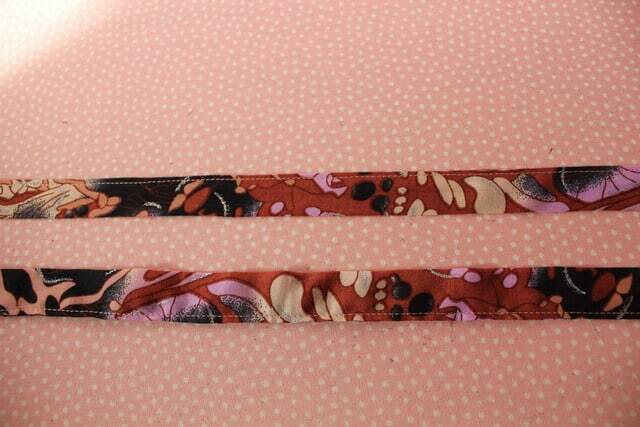 Make 2 buttonholes for the belt. 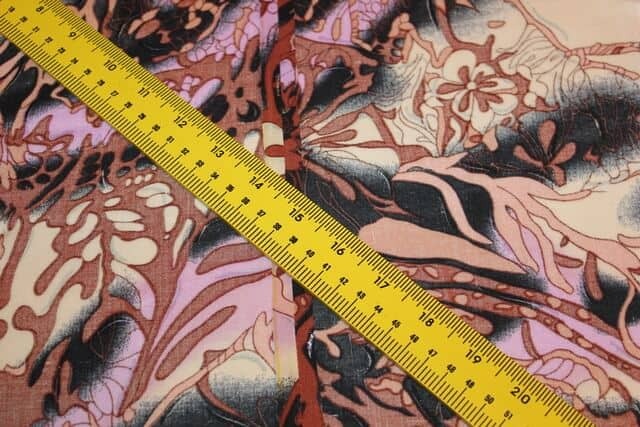 For this reinforce the fabric first: cut a small rectangle 6 x 10 cm from the fabric, use pinking shears for cutting so the fabric doesn’t fray, fold it in half crosswise and baste over buttonholes markings on the wrong side of the fabric. 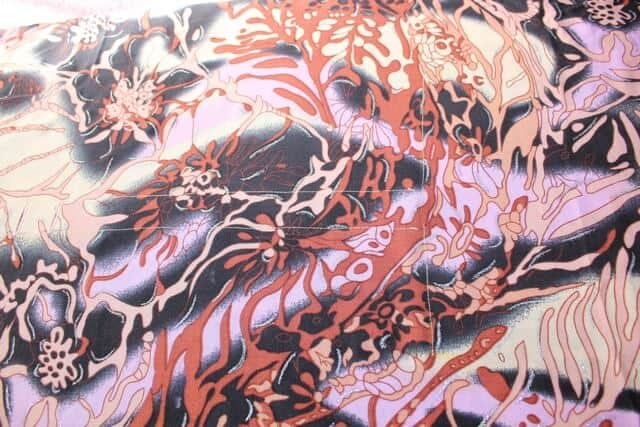 For basting I am using a fabric glue stick as you can see in the video below. Sew 2 buttonholes with length around 2.5 cm. 4. If you wish you can add embroidery to the dress. 5. Sew casings for the belt on the front and on the back of the dress. For this turn in seam allowances of the casings on all 4 sides (long and short), press and stitch over only short ends of casings. 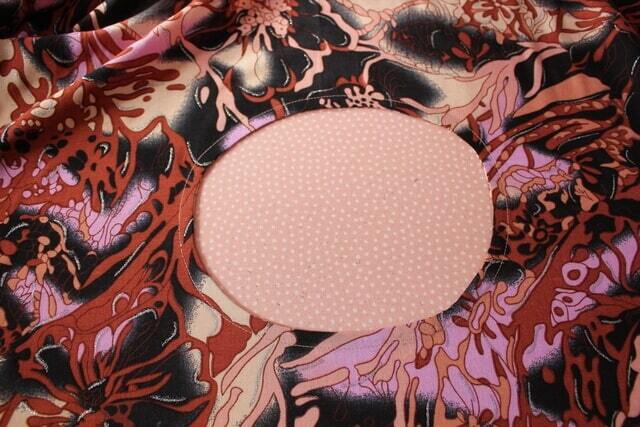 Place casings on the wrong sides of the front and the back over placement marks, baste and stitch along long edges. The casing in the front of the dress has to cover buttonholes. 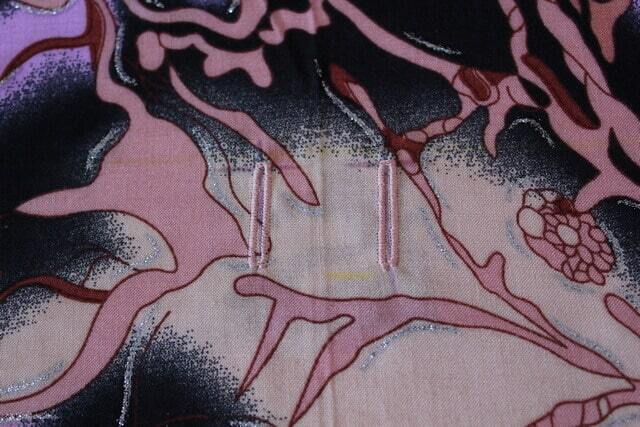 Don’t stitch over short edges, they need to be open so you can insert the belt. 6. Fold the dress in half crosswise and sew the front and the back together at sides along marked lines. You have to stitch lines L-K and J-M , N-I and G-O but don’t stitch between points K-J and I-G.
7. 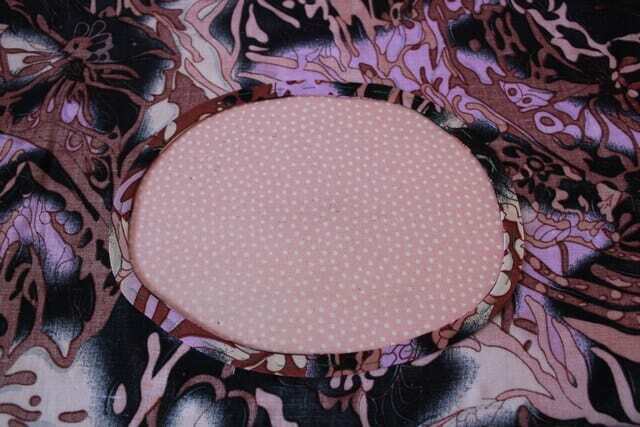 Make the belt (2 cm wide after stitching) and insert it into casings through buttonholes in the front. Press the belt after topstitching. You see the difference between the pressed and not pressed belt in the image below. 8. Try the dress on and see if you are satisfied with the length – at this point, you can make it shorter. If you want you can cut a few centimeters at sides also. 9. Finish all raw edges of the dress – for example, make a narrow hem or sew suitable trims. For a tutorial how to make a narrow hem please refer to my article “Narrow hem tutorial“. 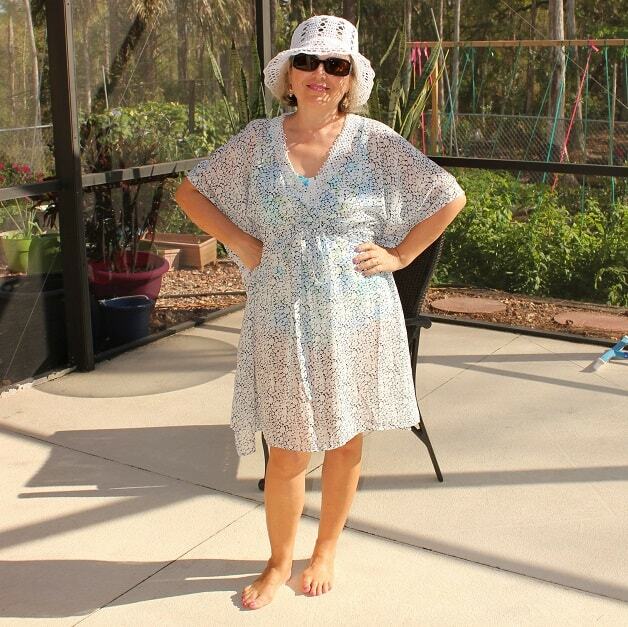 As you can see this beach dress is very easy to make. 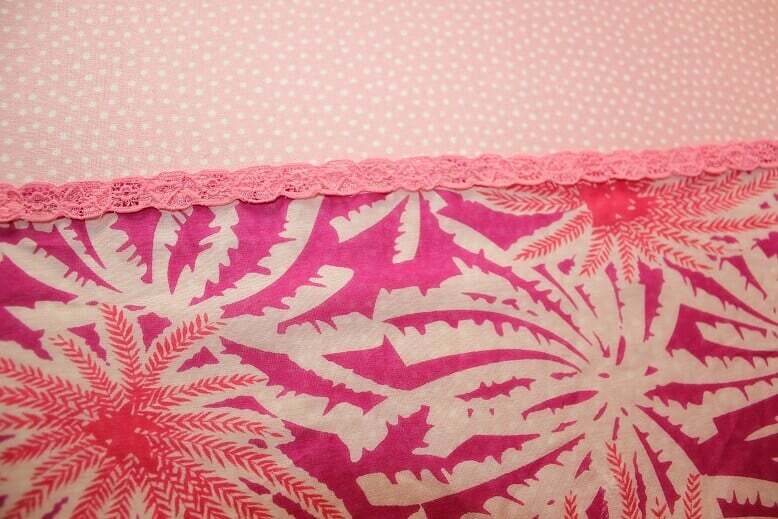 I advise you to make a few from different fabrics and with different embellishments. Which dress did you like more – pink, white or black (with beige and pink)? 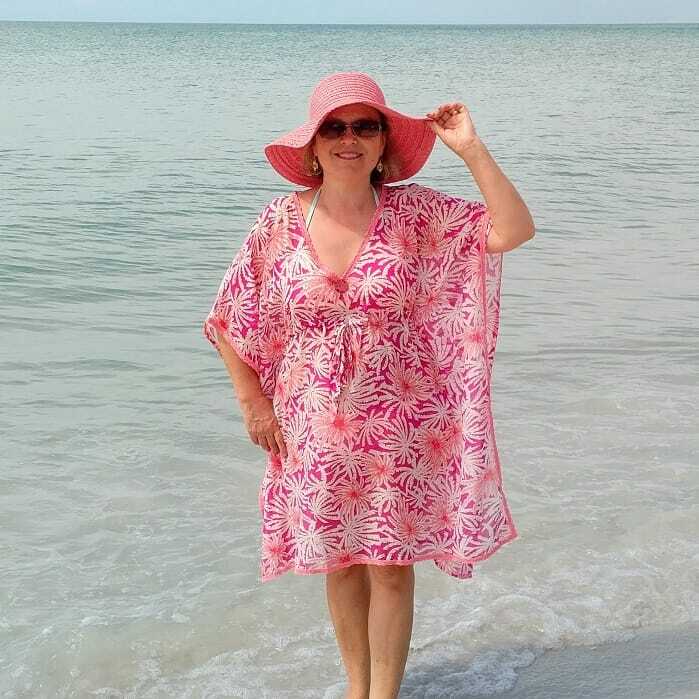 If you like the tutorial and want to use it to make the beach dress you can download this article in PDF and save it on your computer (or print it so it stays in front of you when you sew). 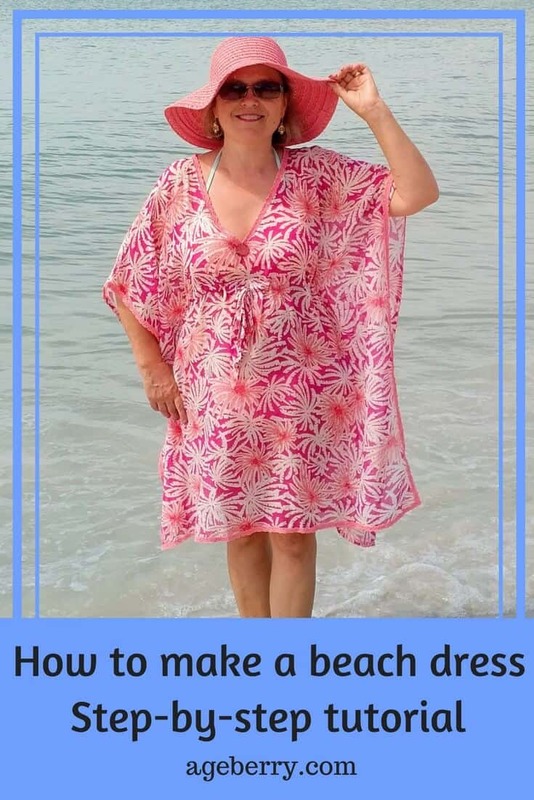 If you want to save this tutorial and use it later when you are ready to sew the beach dress subscribe to my blog so you can download it as a PDF. 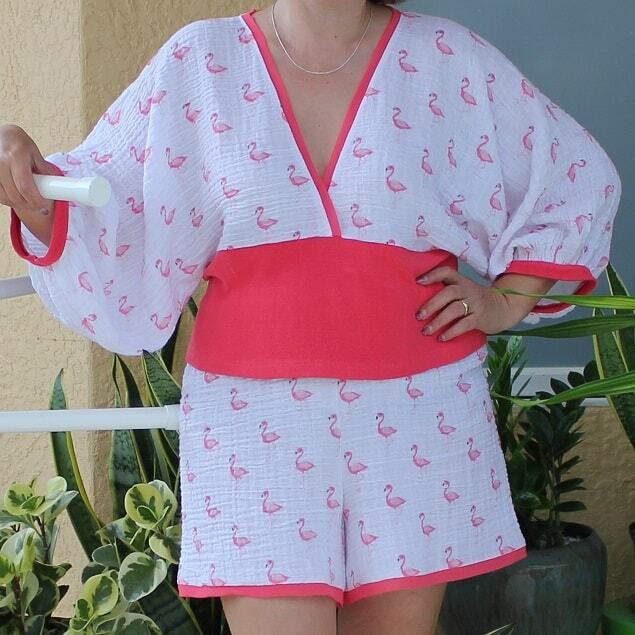 Most of the pattern instructions are good but the patterned fabric does not show any of the details well, particularly the front detailing. Also there is no clear indication about the casings and how they are made (visually) and whether they are made for the back of the dress also? as I realise 2 casings would not be enough if so more casings are needed. But, as it is not clear how the belt is threaded and 2 metres sounds a lot it implies that it is threaded in the back??? There isn’t a picture of the back of the dress so its not clear how the belt works.. Thank you! The belt is supported by a pair of large adjacent buttonholes on each side, it is tied in front with the ends hanging loose. 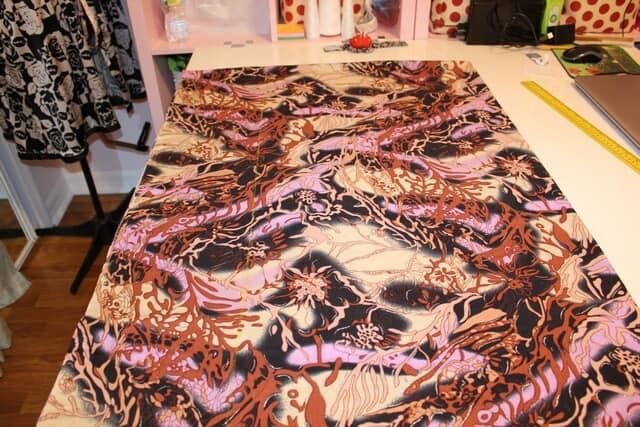 For me 1.5m was enough but I figured a taller person would need more, the final length is probably a matter of preference.I will add new details and images in the near future.